Gantos, J. (2011). Dead end in Norvelt. New York, NY: Farrar Straus Giroux. Jack Gantos is seriously “grounded for life”. Jack Gantos’ presents a story about a 11-year-old boy named Jack Gantos whose summer vacation plans are destroyed when his argumentative parents ground him for life (the entire summer) after firing his father’s rifle and cutting down his mother’s garden. His parents allow him to aid his elderly neighbor while he’s grounded, which ends up adding a source of amusement to his ruined summer. He helps the neighbor write obituaries for the dying residents of the town. The residents are “dropping like flies” and in the most freakish of ways. Jack learns the history of his own town as he chronicles each and every death in Norvelt. And in this town that Jack considers a “museum of freaks”, he learns from those deceased community members and their ridiculous escapades resulting in their deaths that he no longer needs to do “stupid stuff”. The story is set in the coal-mining town of Norvelt, Pennsylvania during the summer of 1962. Jack’s neighbor, Miss Volker writes obituaries for the Norvelt News, but due to her arthritic hands is more than glad to have Jack as her scribe. Jack’s parents insist that they work well as a team, yet Jack’s family has displays little or no teamwork. Jack, an anxious boy, quick to get nosebleeds, and always finding himself in trouble, discovers his courage, honestly, responsibility, importance of friendship, his niche in Norvelt, a New Deal community, a place that gives “hardworking poor people a helping hand”, and becomes a “man”. Dead End in Norvelt is written like an autobiography. The story is filled with tons of morbid humor, none of which is surprising from its author, Jack Gantos. This novel includes not only dead bodies, but also hands cooked in hot wax, a homemade airplane, Hells Angels, and even a possible murder. Norvelt is the funniest small town any reader will experience, and will have a hard time forgetting. 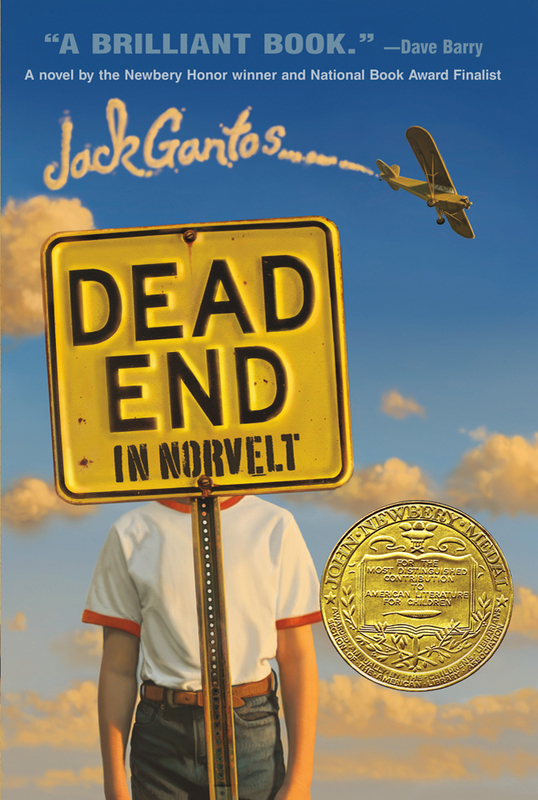 The humor in Dead End in Norvelt is reminiscent of the Joey Pigza books, and the story is a unique character that tween boys will easily identify with such as Donavan Curtis in Ungifted by Gordon Korman.